From the sublime to the exhilarating Chaika is an ensemble with a uniquely captivating sound. They combine traditional and original material into a tapestry of spine-tingling vocal harmonies woven through soundscapes from across the globe. Sensuous, cinematic and at times irresistibly danceable, their music has been described as “deeply touching, virtuosic, exuberant and uplifting”. 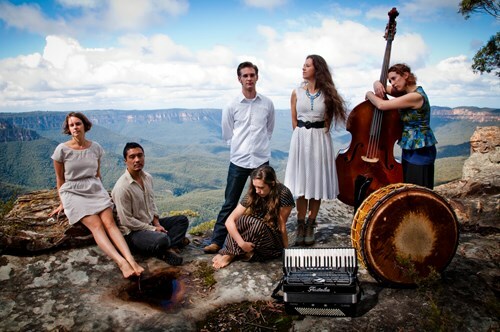 They are touring new music created while Artists in Residence at Bundanon last year. Llew and Mara Kiek, directors of Australia’s foremost world/jazz group Mara!, and the Martenitsa Choir, are renowned musical directors in theatre, dance and festival programs with years of experience and many awards, including 2 ARIAs. 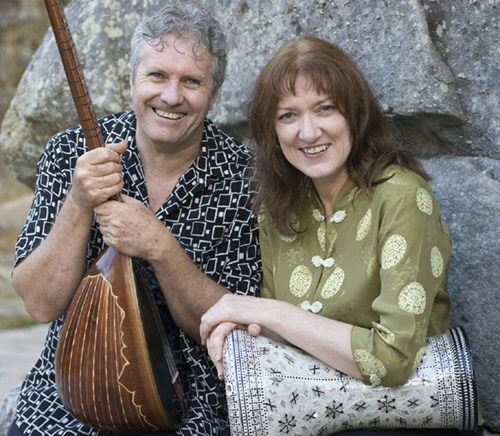 Llew is one of Australia's key medieval and world music plucked string players while Mara is a renowned singer and percussionist, and an expert in the Bulgarian vocal style. Together they have toured extensively nationwide and through over 20 countries.